Hurricane Matthew impacted areas of the Eastern United States during the end of September and the beginning of October, in 2016. With strong winds and heavy rains, many communities were negatively impacted. As a Category 1 Hurricane, Matthew had winds up to 75 miles per hour when it reached land on October 8th in South Carolina. Storm surge flooding occurred in other states as well. Florida’s flooding was reported at 2.5 feet above ground level in some areas. Due to being in a hurricane risk area, the Beachside Apartments features crucial structural design in its buildings to ensure that they have the strength to withstand storms. The managers of this community also took the proper steps in the days before the storm hit to ensure resident safety. The management team of Beachside Apartments took the time to provide extra assistance to residents who needed help. All residents were notified of the importance and urgency of evacuation with enough time for them to pack and prepare. The notification provided by Beachside Apartments included full instructions and steps to perform before leaving the area. Additionally, work crews installed all patio areas with shutters to reinsure there would be as little damage as possible for residents. After Hurricane Matthew had subsided, the apartment community was pleased to announce that while damage occurred, it was fairly minimal. Some buildings lost shingles, and there was some damage to others’ soffits (architectural structures such as arches, balconies, and overhanging eaves). Beachside Apartments were operating efficiently on the day after the hurricane passed. Work crews removed the patio shutters, and residents returned to apartments running almost entirely back to normal. 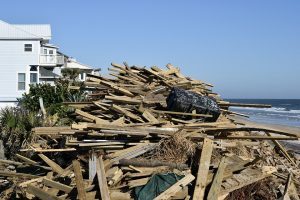 Overall, it was the organization and diligence of the management and maintenance staff of Beachside Apartments that helped minimize the effects of Hurricane Matthew.